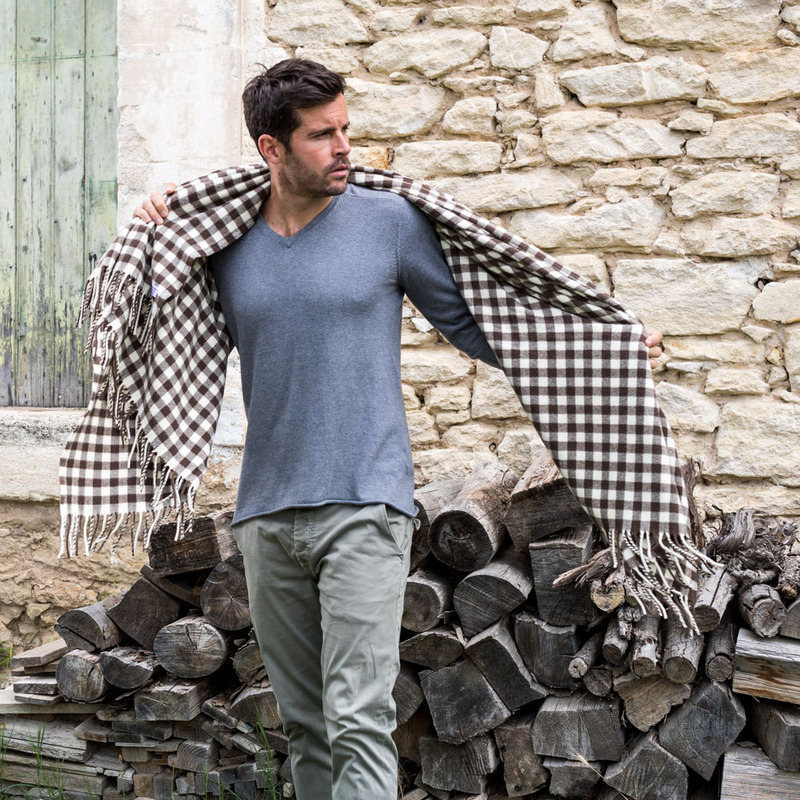 Brun de Vian-Tiran seeks out and purchases the noblest natural fibers from all over the world. Our never-ending quest for the most beautiful raw materials has made us adventurers! 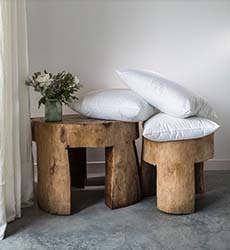 We set no limits on our fibers, which may be from the other end of the world or the product of local sheep flocks, or the result of a rediscovered species… They enable us to create whole ranges or just a few ultra-luxury blankets for a very limited edition, like the Collection Louis Brun created in 2005. • Virgin wool from France: in particular, local wools from the Arles and Alps regions. • Merino wools, the very finest, from Australia, South Africa and Argentina, but also France: Arles merino, Mérinos d’Arles Antique®… the latter is a trade mark applying to an especially fine Arles merino wool, produced by just a few sheep breeders and exclusively destined for Brun de Vian-Tiran. 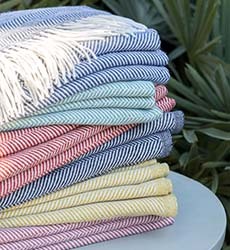 Silk, cotton and linen are not neglected, with their natural fibers also included in many of the factory’s ranges. 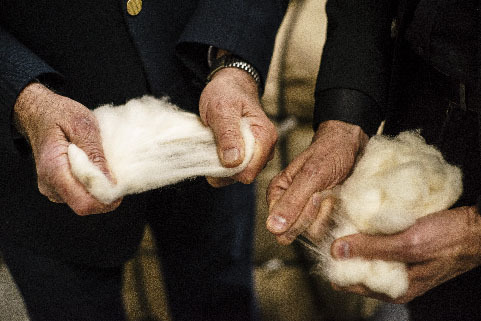 Mohair, Cashmere, Cashgora, Alpaca, Camel, Llama, Yak, Yangir… the factory has made exotic fibers from distant lands its own. The whole world is open to us. But one day, Brun de Vian-Tiran dreamed of traveling in time, back to earlier days in our home territory of Provence. And here, history delivered a secret about Provence’s sheep. Brun de Vian-Tiran sought the descendants of some Spanish merino sheep which Louis XVI had imported in a project dating back to 1786, and which decades later had been cross-bred with French sheep. 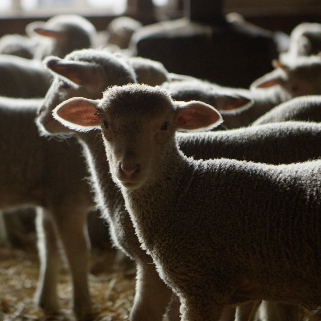 After 7 years of research and analyses, and with the help of his wool merchant friend Claude Gutapfel, Pierre Brun identified the first local sheep breeder who had kept this merino breed’s genes intact. Today, fifteen sheep breeders manage flocks whose wool is certified with the appellation “Mérinos d’Arles Antique®”, a fleece which is not just the finest - with a diameter of less than 20 microns - but the softest in Europe.Our 100% Mérinos d’Arles Antique® collection, called “Camargue”, has given its true place to this noble wool, part of France’s cultural and historical inheritance.What’s more, its outstanding fineness - equal to that of Iranian Cashmere - means that Arles Antique® merino wool has even greater warmth and comfort properties than other wool and woolen-type fibers. Its exceptional crimping give volume and softness which ensure the fabric items are both light and deliciously warm. Indisputably the most beautiful wool in France, rediscovered and conserved by Brun de Vian-Tiran… to surround you with well-being. will wear most during your life. and your needs for warmth, softness and comfort.